Becoming A Lawyer: Is A Law Degree Still A 'Golden Ticket'? This feature was produced by Siobhan McClelland, a student in Ryerson University's School of Journalism, in partnership with The Huffington Post Canada. A Canadian law degree was once viewed as a surefire route to a well-paying, successful career, complete with a mansion and Mercedes. 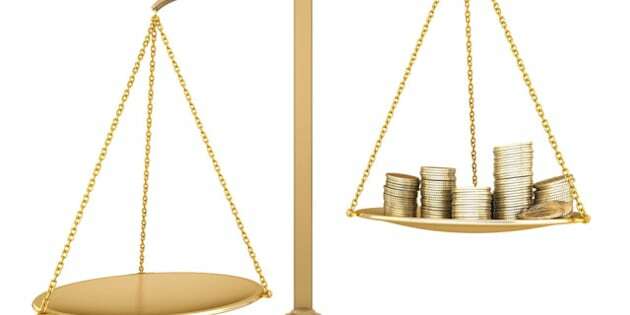 Today, however, the equation isn't that simple, with the potential value of a law degree weighing out against the astronomical increase of tuition fees, leaving graduates with high debts rather than riches. “The stark reality is that it isn’t your golden ticket necessarily,” Thomas Wilson says. He is a law student at Osgoode Hall Law School, who estimates he’ll graduate with a $50,000 debt. Shouldering this financial burden, students trudge off to find articling jobs after their third year of law school. In order to practice law, it is mandatory that law students complete an articling term, which is like an apprenticeship. But as more students graduate from law schools, the number of articling positions available decreases. This problem will become even worse in 2013, when Lakehead University opens a new law school with a first class of 55 students, adding to the number of graduates flooding the job market. If students are lucky enough to snag articling positions at large firms, the hope is the high salaries will allow them to pay off their debts within a few years. But the allure of money can compel many into giving up their dreams of entering areas like human rights, criminal, and family law, where the paycheques are significantly lower. A law degree may provide a good education and could make students more attractive to a variety of employers, including outside of law -- options for alternative careers include professions in finance, human resources and politics. But these choices are often the case only for those who can afford it. With increasing tuition, higher debt, and greater competition for articling jobs, there are more law graduates in a worse financial position without the high-paying jobs to show for it, leading many to wonder if a law degree is worth the economic burden. Second year University of Toronto law student, Katy O’Rourke, came from a working class family in Hamilton. With provincial loans, bursaries, and a line of credit, she estimates she’ll graduate with around $100,000 of debt. However, she isn’t letting her debt influence the area in which she chooses to practice, and plans to pursue social justice. She says the money will work itself out. In the past few years, law school tuition in Ontario has skyrocketed, with U of T winning the prize for most expensive tuition at $27,420 annually for 2012-2013 first year students. Tuition at both Osgoode and U of T has more than doubled in the past decade. Lawyer Peter Repetto chose to attend McGill for law school, where tuition was substantially lower than in Ontario. For 2012-2013, fees are only $4,017.29 for Quebec residents, while for out-of-province Canadians, that number rises to $7,750.79. Repetto was able to graduate without a debt, but wouldn’t have if he had attended any other law school. "Financially, I think [law school] sets people back a fair bit and probably doesn’t set them on a particularly good footing in their late 20s and early 30s, when they are taking on a lot of other responsibilities. It’s obviously compromising most people’s ability to freely choose what career they’re going to pursue after they graduate,” says Repetto. As law tuition increases with no end in sight, the ability of people to enter social justice fields is disappearing. Even if people can afford the high tuition fees, obtaining jobs in social justice remains a barrier. Liz Majic decided to attend law school at the University of Ottawa with hopes of starting a career where she could bring about social change. However, she no longer believes a law degree is worth the high fees. “If I didn’t have the financial cushion that I had through my work experience, I wouldn’t have applied to law school and I wouldn’t recommend going into debt for law school,” Majic says. She intends to graduate, but is unsure if she will proceed to get called to the bar. She’s not alone. Lisa Di Valentino, a third-year law student at Western University, has applied for grad school and may forego becoming a lawyer. She wants to focus on privacy, civil rights issues, or intellectual property. However, she doesn’t know if she would article, even if a position in her desired area of practice was available, as a result of her debt. According to a 2008 Career Choices Study, the average debt when entering law school is just under $26,500. The average debt incurred during law school is $45,246. As tuition fees continue to rise, the debt load will only get worse. To get called to the bar in Ontario, a law student has to complete a 10-month articling position. Without it, students will have attended law school, and incurred expenses for three years, only to graduate without being able to practice law. In 2011, 12 per cent of students graduating from law school did not have an articling job. This number has increased by 3 per cent this past year, with one in seven students without an articling position. The pressure to obtain an articling position begins early. Many law students apply for second year summer positions with hopes firms will hire them back for articling positions. The competition is fierce and can create havoc on morale for those who don’t get a second-year summer position. Marcel Malfitano, an Osgoode law student, was unable to secure a second-year summer job and found the process a blow to his self-confidence. “Conventional wisdom is that if you’re going for a corporate job, which typically pays more, and you don’t get it during second year, it’s all the much harder to get one for your articling rotation. The articling search process was a do or die situation for Malfitano. He applied to many firms, including those in areas of law that he had no interest working in. He was fortunate to obtain the articling position he wanted with a corporate Bay Street firm. Second-year law student Devanne O’Brien hasn’t completely abandoned the idea of articling, but wants to take some time to figure out what she will do. She’s interested in pursuing social justice, but says there aren’t many articling jobs available for the areas she’s interested in. O’Brien was able to find a summer internship abroad at a human rights organization in Johannesburg, South Africa. She hopes that this practical experience will help her eventually. Even those lucky enough to get an associate job aren’t making as much as they may think. Statistics show that between 1980 to 2005, the income of those in professional fields, including law, has remained relatively flat. In comparison, those in managerial positions have seen their salaries increase since 1990. While it used to be that lawyers remained at the same firm they articled at throughout their career and eventually became partners, in recent years, fewer lawyers have reached partnership level. “Twenty years ago, if you were at the firm after six years and you were an associate, you were automatically invited into the partnership,” Warren Bongard says. He is the vice-president of ZSA, a legal recruitment company. According to him, 50 per cent of associates would become partners. Andrew Feldstein, who's been practicing family law for 18 years, is familiar with the harsh realities of the economy’s influence on lawyers. After being called to the bar in 1994, he faced a poor economy, where jobs were difficult to find. Many were starting their own firms, including him. Today, his family law firm in Markham has grown to 12 lawyers. Feldstein says that in family law, you aren’t getting paid the same as a security lawyer in a downtown firm. But there is an emotional reward.